Savanna la mar,Jamaica's history with tropical systems(br)=brush (ts)=Tropical Storm (bd)=Back Door,meaning coming from over land from opposite coast.Not all names are noted,also storms before 1950 were not named.Not every stat on every storm description is given. 2008 August 28th Tropical storm Gustav moves west over the island with 65mph winds. 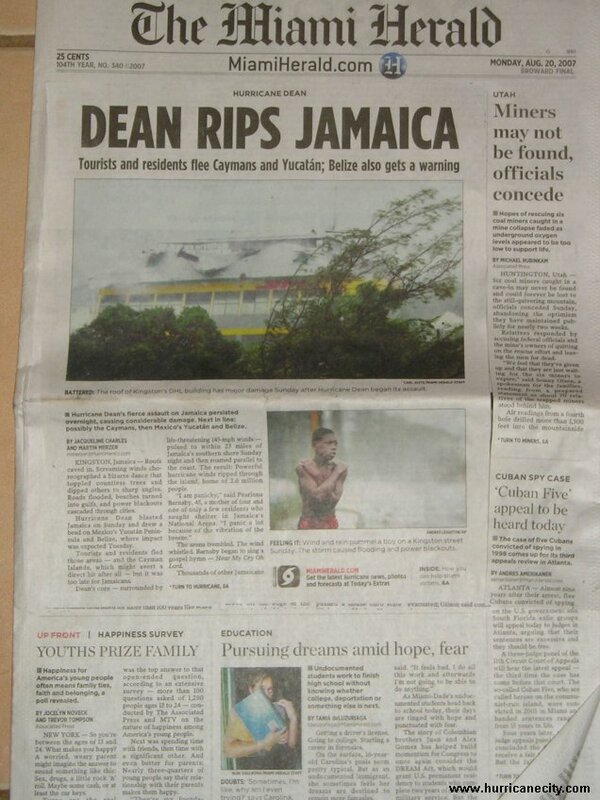 1912 press 28.48 120mph winds very high tides kill 100,---20,000 homes destroyed in west Jamaica. 1951 hurricane charlie 100mph aug 18th 154 killed in jamaica,50,000 homeless. 1988 hurricane Gilbert hits with 115mph winds while moving west hits direct from the east causing very heavy damage killing 23 in jamaica. newspaper article | satelite photo . 2004 ,sept 11th hit by Hurricane Ivan with 155mph winds moving just to the south with Ivan having a wind field approx 85 miles out. Heavy damage in this area.